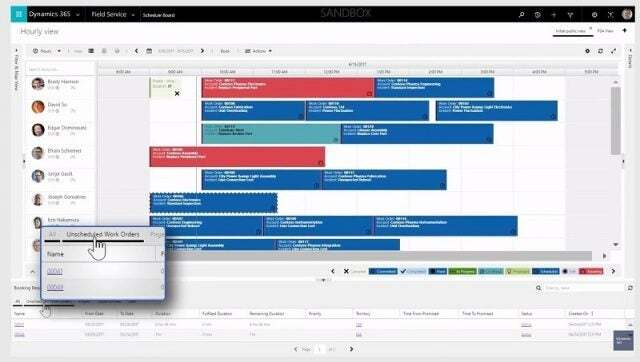 The best Microsoft-integrated CRM and ERP applications. Microsoft doesn’t need an introduction: Since the 1970s, the Microsoft powerhouse has become the typical underlying system of legacy enterprises everywhere, and at over 4.25M users, their CRM is no exception. Any Microsoft-friendly business should look to Microsoft Dynamics when adding or expanding their customer support. The Dynamics suite streamlines business operations and customer relation, is functional and remains well-priced for the industry. The Microsoft Dynamics suite of cloud-based applications covers both customer relationship management (CRM) and enterprise resource planning (ERP), with the stated goal of breaking down any silos between the two types of business software to better streamline a company’s processes. If your team is steeped in Microsoft applications or needs to seamlessly bridge CRM and ERP, Microsoft Dynamics is a great CRM choice. It’s worth noting that the Dynamics user interface has been criticised by some users for a lack of intuitive design and structure: The Save button, placed on the bottom right-hand corner, can be tough to find, while the system overall can load slowly at times. In addition, the range of third-party integration is limited, though Microsoft applications including Outlook, Lync, SharePoint, OneNote, Word can all be seamlessly integrated. ERP applications are designed to aid specific industries, including retail and finance, as well as to attract the best talent to your company through streamlined outreach and onboarding. This review largely discusses the features, support and pricing for the CRM applications below, while touching on the ERP services when relevant. 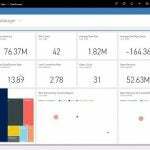 Before we dig into the nitty gritty details of Microsoft Dynamics CRM, let’s compare the features and pricing plans to other competitions in the space. Microsoft Dynamics Sales helps agents gain better insights that allow them to close deals with customers faster and more efficiently. Real-time predictive analytics use a customers’ historical data to understand how best to help them. Once logged in, agents will view the Sales dashboard, which aggregates the latest at-a-glance business stats: Lead qualification and conversion rates, total quarterly and year-to-date revenue, and average deal size can all be kept at front-of-mind. The application’s team-oriented approach allows all the sales agents at a business to track their progress and measure it against others. Intelligent onboarding brings agents up to speed quickly with guidance tips popping up on the interface in real-time when needed. One CRM feature unique to Microsoft Dynamics, LinkedIn Sales Navigator, gives agents an access to LinkedIn’s more-than-560-million-strong network from within the Dynamics Sales dashboard. This lets them reach out to leads through an introduction by a mutual connection on the social career site, or simply send a personalized message. 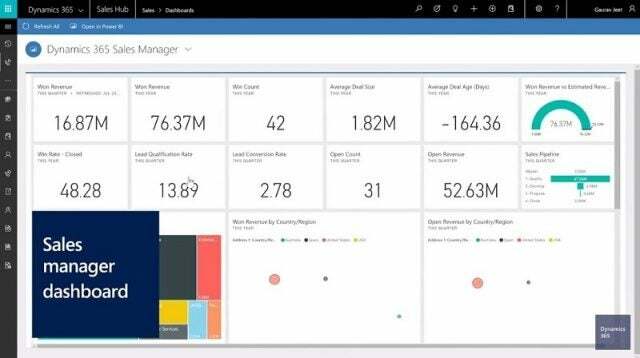 The Microsoft Dynamics Customer Service module allows agents to view data including open cases, resolved cases, draft emails, and activities (calls, emails or texts with customers) on its Dashboards, though a Timeline allows the data to be shown chronologically. Open a case, and you’ll see additional information including a customer profile and historical data. An accounts and contacts section stores information about those you work with, and are sortable by Service Level Agreements, a metric which details the type of service each customer is authorized to receive. When open, cases can be quickly addressed through a three-step workflow — identify, research, and resolve — that guides agents through the process quickly and lets them receive and send customers messages while never leaving the Microsoft Dynamics application. AI chatbots within Customer Service can talk to the agents, offering relevant data about specific customers that can help agents offer the best recommendations, saving agents time and stress. Like the other modules discussed in this review, Customer Service can be access through a mobile device as well as a desktop browser. The Project Service module helps businesses manage project-based services provided to their clients. From within this Dynamics service, agents can track a project from initial sale to final invoice. The major steps in the process include opportunity management, project planning, resource management, team collaboration, and customer billing. The workflow process lets the entire team follow a project from a quote to a open to delivery, followed by completion and closure. To build a quote, project managers can use a drag-and-drop function to customize templates that segment a project’s billable hours by task name, role, start/end date, duration, and resources. The right resources can be quickly found by searching a database by skills and availability. The team can discuss the project using group conversations that allow them to share notes and files. Time and expenses can be easily recorded or approved, even on mobile. Since the same system tracks the entire project, an accurate invoice can easily be produced and delivered. 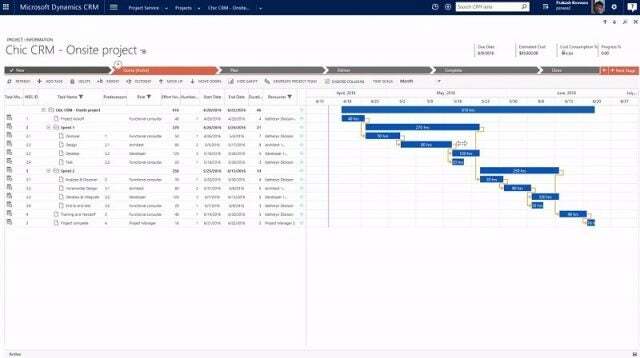 The Microsoft Dynamics Field Service module helps companies manage their on-site service business through optimized scheduling. The goal is to streamline the process, giving agents the data they need when they need it in order to address issues before they occur and ultimately cut down on operational costs. An automated scheduling and dispatch service uses historical data to pair the right resource with the right demand: Called Resource Scheduling Optimization, the process uses factors including skills, location, duration and travel time, priorities, and preferred resources. Then, once in the field, technicians can quickly pull up all relevant customer information from within Field Service, even on mobile. Lists of accounts, contacts, bookings, work orders, customer assets, activities, and even time off requests can be easily accessed from a lefthand menu bar on the agent’s dashboard alongside a map of the agent’s location. 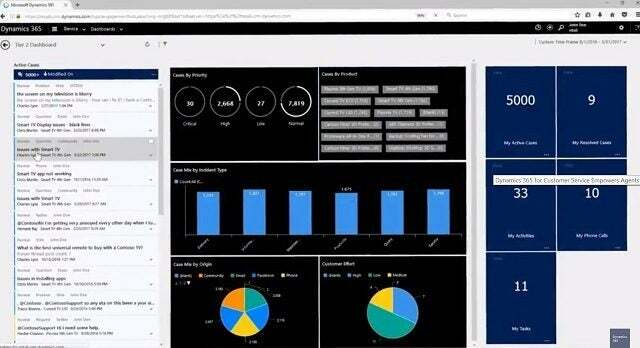 This video displays an overview of the goals behind the Microsoft Dynamics suite, explaining in their own words how the company believes the digital revolution is a transformational era that requires equally transformational technology. Microsoft Dynamics has a free CRM-specific online help center. In addition, 24/7 live support is available to paying customers both online and by phone. To connect with a Microsoft agent online, users will need to log into their CustomerSource portal. Through this portal, those with a service plan can also take elearning courses by accessing the Imagine Academy site. Microsoft Virtual Academy also offers Microsoft Dynamics training courses. 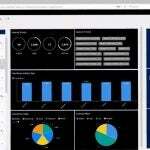 The Dynamics 365 Plan gives users access to all Microsoft Dynamics CRM and ERP applications through a single package, starting at $210/user/month. Two cheaper and less comprehensive plans are available that offer solely the CRM or ERP tools: The Customer Engagement Plan is the CRM option, for $115/user/month, The Unified Operations Plan includes the ERP options for $190/user/month. CRM applications can be purchased individually: The Sales, Customer Service, Project Service Automation, and Field Service applications each separately cost $95/user/month. We recommend Microsoft Dynamics CRM for smaller companies that hope to better integration their CRM and ERP processes as they grow. It’s also good for larger companies that already operate on Microsoft products, since Microsoft Dynamics can be integrated smoothly into their workflow.